Quotes from the Prince of Preachers, Charles Spurgeon. 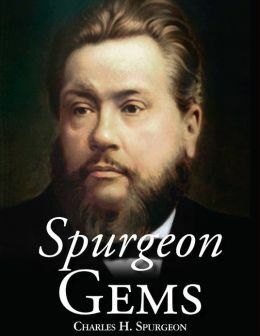 Spurgeon Gems is a collection of quotations from Spurgeon’s sermons, preached during the years 1880 through 1892. The 280 quotations mostly consist of a few sentences up to a paragraph and are arranged into 34 relevant topics. Few if any preachers of the Word ever have preached the Gospel of the grace of God with greater clarity. These excerpts serve as an introduction to the writings of Spurgeon, a refreshing reminder of the glories of the Lord, and a summary of the doctrines proclaimed by this outstanding man of God.